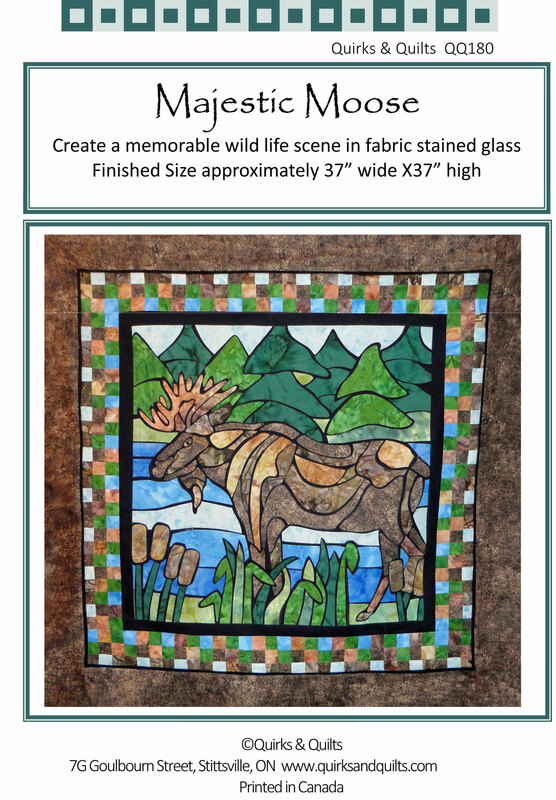 Create a memorable wild life scene. 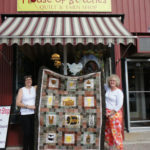 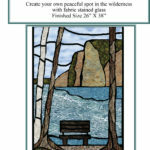 A beautiful scene made with stained glass quilting. 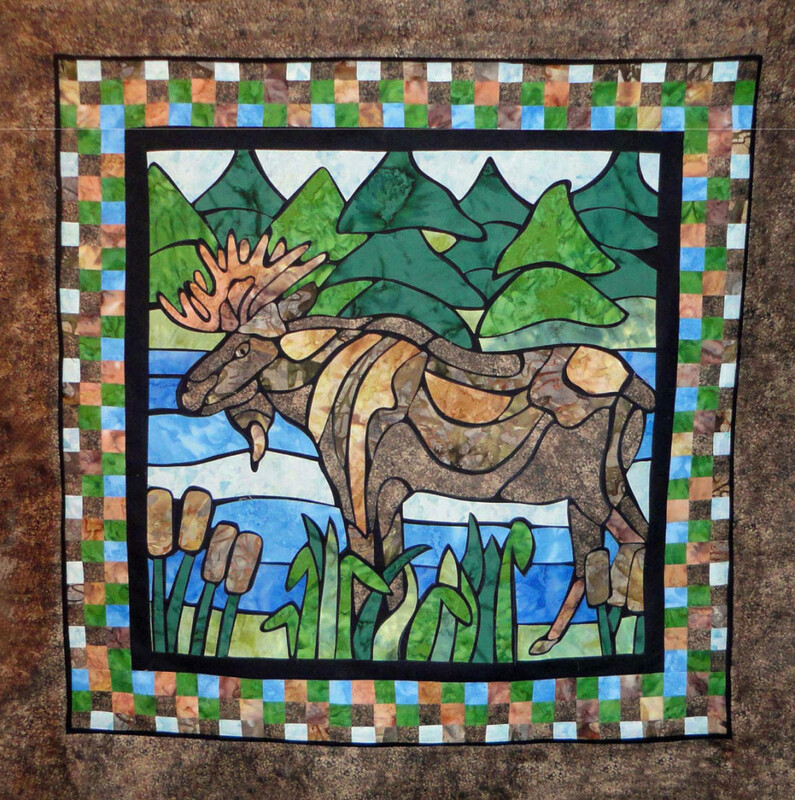 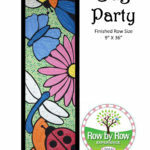 Raw Edge Fusible Applique on a black background with an accent nine-patch border.